Kool-Park is one of the most amazing projects we have ever worked on. Still under construction, this ultimate water park is the creation of Carlos Catalo and will be under the management of his daughter. 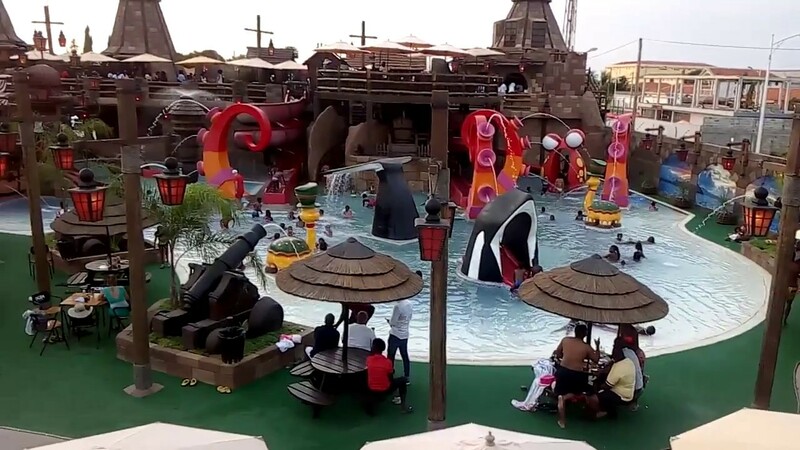 Kool-Park is located in Luanda Angola, and has something for everyone. The Park features our custom designed bars and booths along with many other custom accents. We spent a week with Carlos consulting on his ideas for the park and it was a truly delightful week! This project was one of the most difficult but rewarding endeavors we have ever undertaken. The Diner includes actual vintage cars that were cut in half and used to enhance the décor. Along with the custom design of this Diner, we also helped to create a second outdoor rooftop diner, and collaborated on the design of the retro themed bowling alley with its gorgeous retro mural and furnishings that were made to evoke that nostalgia of the 50’s. Check out the video of this amazing park and you will see what is possible when you work with BarsandBooths.com.